Options is registered with the Care Quality Commission (CQC) to provide domiciliary care and they have rated the service 'Good' in all areas (Safe, Caring, Responsive, Effective and Well-led) and as 'Good' overall (see below). Our last CQC Inspection was in January 2017 and the report can be viewed on their website which can be accessed by clicking on their logo below. Choice; living where people want, and with who they want to live with. Services are tailored to each individual's needs and preferences. Help with all stages of moving, including planning, benefit and grant applications, budgeting, exploring transport links and the local area, skills assessment etc. On-going support to manage and maintain the tenancy. Support with personal care and health needs such as medication. Support can be shared if living with others. Sleep In or Waking Night support if needed. Promoting people's skill development through active support. Planning and achieving desired outcomes. 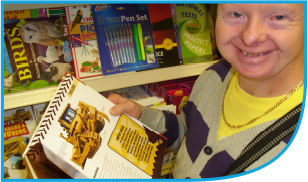 The aim of our Enabling Support service is to help people access and explore opportunities within the community, and develop their independence in the process. 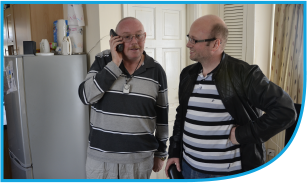 Enabling Support can be for people who are living either with their families, in residential care or in supported living. Helping people achieve key outcomes and personal goals. Helping to link up with others and develop social networks in a variety of settings including clubs and drop-in centres. Support in the community with errands such as benefit/pension collections, bill payments, grocery shopping etc. Developing budgeting and money skills. Access social and leisure activities of interest. Promoting independent travelling through bus/training. Following the closure of some of the local Day Centres, we have set up several community groups in South Gloucestershire and Bristol. The groups are open for others to join them, or new groups can be started in areas where people share common interests and goals. 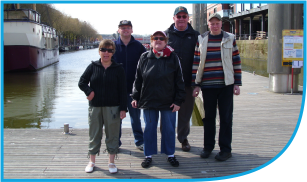 The groups enable people to build new friendships and maintain existing friendships, whilst also experiencing greater involvement and participation within their local community. Promoting peer learning and helping each other progress independence. Explore the local community and surrounding areas. Plan day trips out of Bristol e.g. London, Weston, Cardiff. Develop independent travelling through bus/training. Develop budgeting and money skills. Planning group activities; working as part of a team. Develop an awareness of health, safety and risks within the community. Explore work experience and practicing daily living skills. Taking part in a variety of activities of interest to the group members. 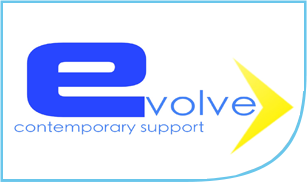 Our Evolve service offers dynamic and innovative support for young people with learning disabilities and autism from the age of 16 to 24. We work closely with schools and colleges in order to provide a smooth transition process for young people leaving education. Our programme runs from our central meeting hub and training base- The Barton Hill Settlement, Bristol. Young people can access Evolve through Social Care funding, Personal Budgets, Direct Payments, or private funding. Please contact us for more information on this service.